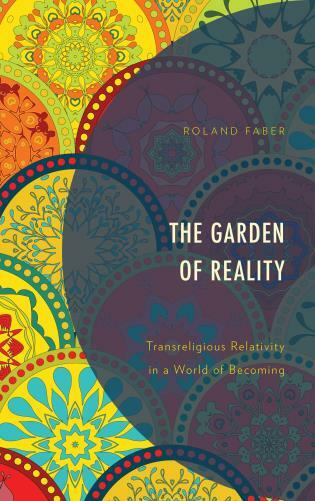 The Garden of Reality contemplates the relativity of religious truth, religious pluralism, transreligious discourse, postmodern cosmology, and multireligious mysticism. Its transreligious approach aims at a future multireligious, peaceful society in an ecological and cosmic context. It proposes that the future of humanity is bound to conviviality with itself and the Earth, that the deepest religious motivations of existing together are relative to one another, and that transreligious relativity is essential to the conviction of religions that their motivations, experiences, and conceptualities are meaningful, real, and true. By engaging diverse voices from poststructuralism to Sufism, Dzogchen, and philosophical Daoism, from conceptual frameworks of Christianity and Hinduism to mystical and postmodern cosmology, current cosmopolitanism, and interreligious and interspiritual discourses, but especially understudied contributions of process thought and the Bahá'í religion, this book suggests that multireligious conviviality must listen to the universal relevance of a multiplicity of minority voices. Its polyphilic pluralism affirms the mutual immanence and co-creative nature of religions and spiritualities with the universal in-sistence of divine or ultimate reality in the cosmos. Embracing a relativistic and evolutionary paradigm in an infinite cosmos of creative becoming, religions must cope with events of novelty that disturb and connect, transcend and contrast, the continuum of their truth claims, but must avoid conflict, as religious diversity is enveloped by an ever-folding landscape of ultimate reality.